Enhanced Virtualization-based security- securing Enterprise environments has been a major concern for Windows, and the inclusion of virtualization-based security for windows 10 , has increased security of all windows operating systems. Fusion 10 Pro has taken a step further on virtualization security for both Windows 10 and Windows server 2016. New security features such as Credential Guard, and Unified extensible firmware interface (UEFI) have been included in the Fusion Pro 10. Enhanced virtual networking- There has been an enhanced way of testing and troubleshooting applications in a network, with the new VMware Fusion 10 Pro. One of the new coolest feature here is the latest Network Latency Simulator that helps network administrators simulate data packet losses and also help them limit data bandwidth, in order to test network issues more effectively. One other advanced feature is the ability to personalize the Virtual NIC adapter names – this will help the IT professional organize network configurations much better. The new VCenter Integration– IT professionals want to test server appliances, especially before any installation. The new VCenter integration feature on VMware 10 Pro will help them import such server appliances into the workstation and Fusion, effortlessly. This feature also supports other OVA appliances. VMware has also added the option of the IT specialist to do a host reboots, or even shutdown remote ESXi hosts, or they can even be placed inside the maintenance mode. The new Operating system- It appears VMware always listen to its customers hence it has added a number of cool new Operating system features. The Vagrant and Docker features can help user automate development procedures of the enterprise applications. Users can also make use of the new REST API (swagger based), to integrate into continuous development platforms and at the same time leverage on VMware components such as inventory networking, cloning and power. # Check VMware Fusion 10 Coupon Codes and Promo Codes. A brand new Touch Bar – This I perhaps one of the greatest features on Parallels Desktop 13 for Mac. This feature allows you to display several apps and tools from your virtual machines and you can even duplicate Windows Task bar and icons such as File explorer. The pre-defined touch bar controls works with an in-built wizard tool that allows you to customize the Touch Bar feature with your preferred Windows app. Aside from using the touch bar for the Mac touch bars, you can also use it for Windows apps. The Touch bar controls that work for Windows version provide Microsoft Word, Excel, Outlook and Power Point. Improved performances through external drives- The introduction of Thunderbolt 3 on the Mac models has helped in improving performance on Parallels desktop 13, similarly, external USBs also help in improving performance of the tool. The all new “People Bar” – all Mac models users can now view their contacts via the “People Bar” feature which provides the latest Windows insider preview located inside the Mac’s dock bar. The brand new picture-in-picture mode can also help you view live previews in different VMs that are running on the screen simultaneously. The external graphics updates include Sonnet EGFX Breakaway Box that guarantees enhanced performance of virtual machines, most especially those running high-end graphic apps such as Windows Dialux software, used for lighting design. 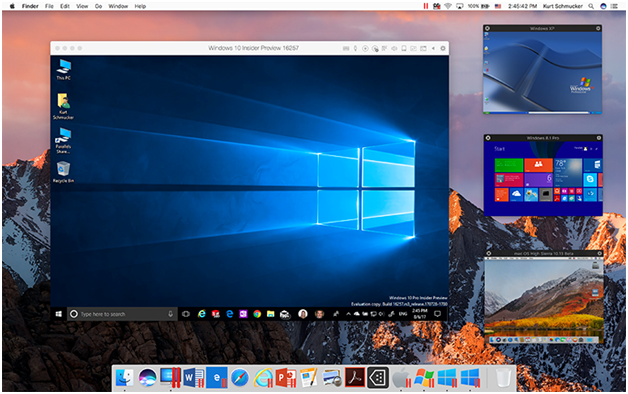 The price and options- There are three different versions of Parallels Desktop 13 for Mac, these are; The business edition, Pro edition and the standard edition. The business edition offers a single application mode and it runs on a specific windows application that removes most of the complexities involved in its installation and configuration of the virtual machine program. The Pro edition is targeted at Developers and it comes with the capability of configuring VMs with up to 128GB of memory and 32 processor cores. Both the business and Pro edition of this tool will require an annual subscription of $99.99- this package includes free annual upgrade and it is a single license package. The Standard edition is designed for Home and educational users, and it is available on one-time purchase of $69.99. Comes with improved performances especially for external devices such as Thunderbolt and USB storage devices. The business and pro versions of this tool will require an annual subscription which can make it undesirable for budget-conscious users. 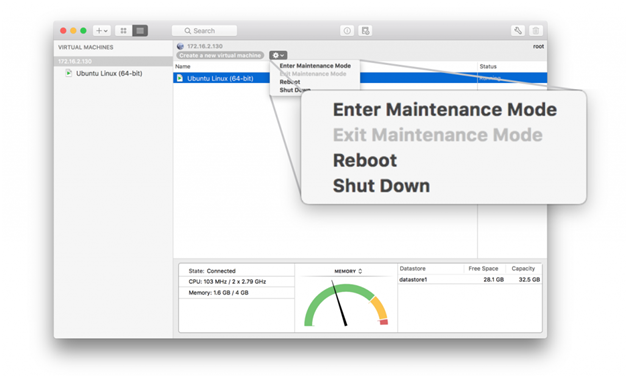 Virtual machines relying on this tool will require huge amounts of memory space and storage. Poor documentation can be a challenge for the first time users. 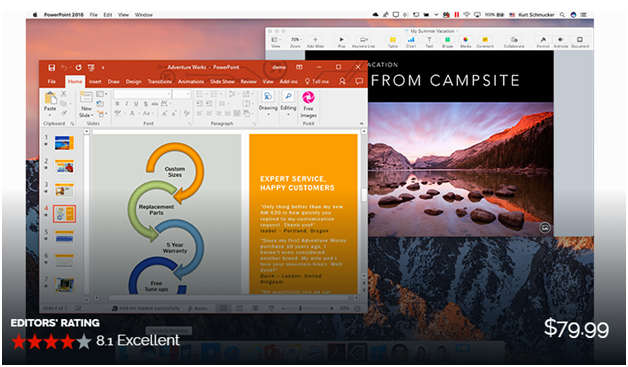 # Don’t forget to check Parallels Desktop for MAC 13 Coupon Codes and Deals. Virtual networking features Comes with new features such as; Network Latency Simulator and advanced Virtual NIC adapter name customization. Relies on Touch Bar an external drives to deliver customized effects. Integration Integration has been boosted with the new VCenter server appliance, feature. Touch Bar, People Bar and external drives such as Thunderbolt 3 and USB are the main integration features for this tool. Performance Works with Apple metal graphics acceleration technology for double the speed, battery performance and output. Improved performances of this tool has majorly been brought about by external components such as Thunderbolt 3 and USB. 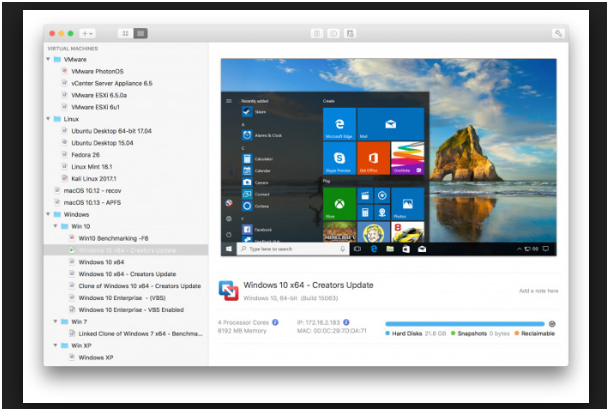 Graphical User Interface The GUI has been tremendously boosted with the inclusion of “Migrate your PC” and “New VM” wizards for enhanced appearance and better functionality. Relies on Sonnet EGFX Breakaway Box to deliver excellent GUI for users. Price and other features. Comes with a one-time price of $89.99 More expensive than the VM Fusion 10 Pro as it costs between $79.99 and $99.99, depending on whether you go for Pro, business or standard version. Enhanced capabilities and functionalities have been the main strength of VMware Fusion Pro, since inception, hence the company remains the leader in providing enhanced solution for personal and IT labs. The ability to integrate the Fusion 10 Pro with new features such as Vagrant and docker makes this tool a sure bet. 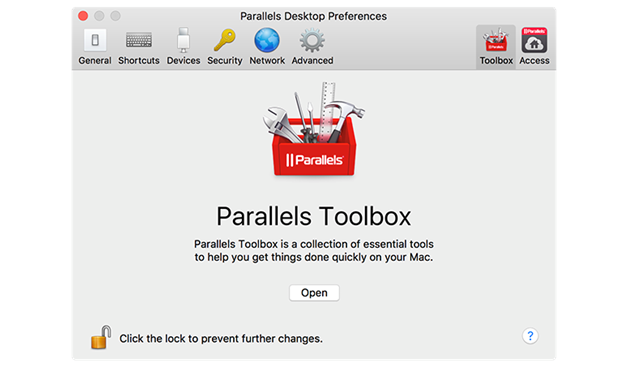 Parallels Desktop 13 for Mac may have an edge over its rivals because it comes with an annual regular update. One of the cons of the Parallel Desktop 13 is that it focuses more on Mac Book Pro than Windows, hence, Window users may find that slightly unpleasant. The fact that you have to renew Parallel Desktop 13 annually makes it more expensive on the long run.